is responsible for regulating medical devices in Australia. The Australian regulatory guidelines for medical devices (ARGMD) describes the information to be supplied with applications to import, export, manufacture or supply medical devices in Australia. The ARGMD also describes post-market requirements for medical devices. Before a new medical device can be supplied to the market in Australia, the TGA needs to be involved. • notify the TGA of substantial changes to the design, production or intended performance of the device. There are six general Essential Principles that apply to all devices. There are a further nine Essential Principles about design and construction that apply to devices on a case-by-case basis. 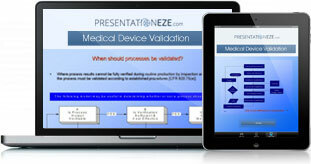 • Information to be provided with medical devices. • the design dossier, if applicable. This information must be held and maintained by the manufacturer and must be made available to the TGA upon request. The most common way to demonstrate compliance with the Essential Principles is to meet a standard published by an Australian or International Standards Agency, a Pharmacopoeia, or a similar standard. Reference source – “Therapeutic Goods Administration”.